Substance abuse is an epidemic that affects every gender, race, ethnicity, and age nationwide. In the U.S., there are as many as 20 million persons suffering from alcohol or drug abuse. In recent years, illegal drug abuse has increased. In fact, the disturbing trend claims more lives than other kinds of accidental death annually according to NIDA or National Institute on Drug Abuse. Synthetic opioids and heroin constitute the biggest number of overdose deaths, constituting nearly 60% of accidental deaths associated with drug overdose. The trends demonstrate why the country’s in the center of an opioid epidemic. The drug abuse epidemic similarly affects California (CA) and it isn’t exclusive to opioids. Experts approximate that 3 million persons in the state abuse drugs. They further assert that 11 people die daily in the state due to drug abuse, making it a bigger killer than auto accidents, homicides, suicides, or firearms. Over 40,000 ER visits in CA annually are drug-related, costing the nation’s economy millions of dollars. In fact, CA spends an approximated $60 million annually housing inmates associated with trafficking and abuse of marijuana. The drug epidemic has also affected Costa Mesta-the sunny, suburban city nestled midway between Los Angeles and San Diego. The city provides a magnificent quality of life minutes away from the Pacific coastline and some of the most stunning beaches in CA. While the city is known for its remarkable shopping and fashion as well as a vibrant cultural and arts scene, it’s not immune to alcohol and drug problems. With a population of 112, 784, the city is grappling with an epidemic that continues to destroy many families and lives. Fortunately, the addicts can access various programs dedicated towards helping them recover from various forms of addiction. While California has established itself as the place of innovation, it’s not immune to its share of the drug and alcohol epidemic. Nevertheless, the state offers well equipped and a wide range of treatment options to help those struggling with addiction. If you live in Costa Mesa and have fallen victim to substance abuse don’t hesitate to seek treatment. There are enormous resources in at your disposal. While it isn’t as densely populated as CA’s major cities, the rates of substance abuse and addiction are well beyond those in the metropolitan regions. The major drugs that residents commonly abuse statewide include marijuana, meth, cocaine, and opioids. Overdoses most frequently take place in middle-class communities such as Seal Beach and Dana Point in OC. The statistics imply that overdoses have a higher likelihood of resulting in the deaths of the middle class, middle-aged men. Deaths from illegal drug use have a higher likelihood of occurring in younger populations but are overshadowed in OC by unintentional deaths originating from alcohol abuse and prescription overdoses. Drug overdose is currently the principal cause of unintentional injury death in the U.S., causing more deaths than vehicle crashes. Opioids- heroin and prescription painkillers are responsible for most of the deaths. The proportion of Californians affected by non-prescription and prescription opioid overdose and misuse is considerable, with rates varying substantially across counties and within counties. In Orange County, 7,457opioid abuse/overdose cases received treatment in emergency departments between 2011 and 2015. Seven out of every 10 overdose deaths probed by the OC Sheriff-Coroner throughout the five-year period involved opioids. While OC has lower opioid-related mortality rates in comparison to other states and the country, notable risk factors and disparities exist for some of its residents. For instance, reports reveal that males are almost 21/2 times more probable than females to die or overdose from an opioid-related incident. Geographically, reports further reveal that cities along the southern and coastal regions of OC tend to have higher rates of deaths and ED visits compared to other cities. Similar to countrywide trends, OC has witnessed a rise in drug-related overdose deaths over the past 15 years. In a current report, overdose deaths rose by 88% from 2000-2015, and almost half of the deaths were due to unintentional prescription overdoses. Moreover, 1,711,809 opioid prescriptions were dispensed to Orange County residents in 2015 according to data given by California Department of Justice. Findings reveal that the top prescribed opioids in Orange County are Hydrocodone, Oxycodone, Morphine, Methadone, and Hydromorphone. Other statistics reveal that the number of opioid ED visits in Costa Mesa increased from 74 in 2011 to 174 in 2015. In 2013, CA treated over 11, 500 patients suffering a heroin or opioid overdose. That’s approximately an overdose every 45 minutes-an increase of over 50% from 2006. Hospitals in CA’s rural area have the highest rate of opioid-related overdoses. From 2006 -2013, the hospitals in Shasta County saw over 1,100 overdoses or 8 overdoses for every 10, 000 residents-over triple the statewide average. The rate of opioid overdoses in El Dorado, Sacramento, and Placer counties was higher than the statewide average. Opioid overdoses leading to hospitalizations and ER visits grew steadily almost every year from 2006-2013 according to reports. According to the California Department of Public Health, opioid deaths climaxed in 2010 and have decreased slightly in subsequent years. Nevertheless, California remains one of the states grappling with opioid overdoses. The current epidemic is mainly because of a growing awareness of the right to pain relief and aggressive pharmaceutical marketing. Studies have also noted broad variations in how physicians prescribe opioids. Furthermore, illicit heroin use has increased sharply, especially among young adults. Ever since the legalization of medical marijuana took place in CA, various problems have arisen along with gray areas concerning what comprises legal and illicit marijuana growth and use throughout the state. It seems the northern side has its share of problems. You can’t assess the actual impact of CA’s marijuana decriminalization. On a personal level, recreational use of marijuana is an option in the state. In 2016, 9.5% of CA adults aged 18-64 used marijuana or hash oil at least once daily in the last 30 days. In 2016, 14.5% of high school students used marijuana at least once daily in the last 30 days. About 9% of marijuana abusers develop an addiction to marijuana. Besides marijuana, cocaine is one of the most commonly abused drugs in CA. In 2006 alone, the seizure of more than $34 million worth of the drug occurred in different raids statewide. However, admissions for addiction constitute a small percentage of treatment numbers in spite of the extent of the problem. Although the reason behind such low numbers is unknown, maybe it’s because addicts don’t understand the emotional and physical consequences of cocaine abuse. Another possible reason is that family members can’t identify the indications of cocaine abuse or don’t know how to handle the issue with their loved one. Most of the country’s cocaine enters the nation through the Southwest Border (SWB), which comprises parts of Arizona, California, New Mexico, and Texas. In 2014, the seizure of 4,443 pounds of cocaine took place in the SWB sector and the seizure of 1,697 pounds occurred in San Diego alone-the highest amount out of every city. In 2013, cocaine abuse accounted for 4% of the treatment admissions while in Los Angeles, it accounted for 6.8% of the treatment admissions for cocaine dependence or abuse. Although cocaine abuse has been declining gradually across CA in the past numerous years, the drug is still a threat. Drug dependency and abuse are major economy drains and have considerable societal costs. Illegal drugs, which comprise cocaine cost the society almost $200 billion yearly, as persons dependent on or abusing the drugs may require additional healthcare, have a higher likelihood of being involved in crimes, and demonstrate less work productivity. In 2009, 113,000 adult felony drug-related arrests occurred in CA and 38% were for drugs such as cocaine. In 2010, over 30,000 people were in California Department of Corrections and Rehabilitation system because of drug-related felonies. Historically, cocaine has been associated with violent crimes and increased violence. In 2007, nearly 4%of all homicides in the U.S. were drug-related. In 2013, nearly ¼ of prison inmates showed a positive drug test and 2% of those were for cocaine. Methamphetamine is one of the most abused drugs statewide, with half a million residents being estimated to use the illicit stimulant and highly addictive drug. Its synthesis occurs in illegal laboratories from daily materials and cold medicines comprising pseudoephedrine and ephedrine. Seizures at the SWB, which comprises regions of Texas, California, Arizona, and New Mexico, increased 200% between 2009 and 2013. Stimulant drugs were the primary abused drugs in over 30%of public treatment admissions in CA in 2011, making it the top reported drug class by those seeking treatment for drug addiction or abuse statewide. Reports reveal that numerous regions in CA are seeing an increase in methamphetamine treatment admissions, which has a correlation with growing abuse trends. The nationwide rate of ED visits for meth-related cases was 33 per 100,000 residents in 2011; in the San Francisco area, it was 139.5 per 100,000 residents. In the U.S., the rate for meth-related hospitalizations was 13 per 100,000 residents in 1993 and increased to 56 per 100,000 in 2003. In CA, the rates started at 66 per 100,000 in 1993 and increased to 212 per 100,000 in 2003. Between 2009 and 2014, meth confiscations statewide spiked 300% statewide. In 2014, the confiscation of almost 15,000 pounds of methamphetamines took place. Reports reveal that Mexican cartels have increased the trafficking and mass production of meth, flooding Southern California with the addictive drug across the U.S. In 2014, meth seizures at the U.S.-Mexico border attained a record high in 2014 and surged 33% around San Diego. Over the past numerous years, the addictive substance has grown cheaper, purer, and more accessible. In 2008, undercover agents would spend $8,000-$10,000 a pound to purchase it but today, it’s less than $3,500 a pound. Traffickers frequently store the methamphetamine in houses around LA before distributing it broadly. Furthermore, the cartels responsible for producing it do so in huge quantities, resulting in decreased overhead costs. Other statistics reveal that meth seizures along the Mexico-California border and at the San Diego seaport and airport quadrupled from 3,693-14,732 pounds from 2009-2014. Most of the nation’s meth underwent domestic production until a crackdown on the chemicals needed to manufacture the drug took place years ago. The Combat Meth Act, which saw implementation in 2006, controlled the amount of pseudoephedrine and ephedrine that could sell over-the-counter. The regulations prompted an unplanned predicament: Mexican cartels took charge of the meth business. Approximately 90% of methamphetamine currently comes from outside the U.S. and much of it is astoundingly pure. However, the cartels have established a presence in suburban and rural areas where the drug is very popular. Sources reveal that the drug usually crosses into CA, heads to LA and San Diego then shifts east or continues to San Francisco for transportation across the Midwest. An assessment helps the physician at the treatment facility to develop a suitable treatment plan upon reviewing the information you’ve given. This helps you determine whether the treatment facility has what you need to attain your goal during treatment. During this stage, you’ll provide your alcohol and medication history. It’s likely you’ll undergo a physical and screening test to establish your overall health. This procedure, which takes place under the supervision of a medical professional, seeks to manage the withdrawal symptoms. This type of program offers accommodation and treatment services for those in recovery. This type of program allows you to maintain your normal daily routine while still undergoing addiction treatment. Here, you won’t stay in the treatment facility. This plan typically takes effect after the completion of a treatment program. It seeks to track how a person is coping with recovery. These homes provide a safe and drug-free setting after the completion of a treatment program. Find more Questions and Answers about rehab on our FAQ page. Costa Mesa has a strong recovery fellowship in the area. Once you recognize that you require help with your alcohol or drug addiction, it’s time to select the kind of program that will suit your needs best. In some instances, patients begin with a residential program before stepping down to a PHP or partial hospitalization program, recovery meetings, and outpatient program. In other instances, intensive detoxification may be essential before joining a recovery program. When you require 24-hour care, residential programs are the optimal option. Whether you select a long-term program that lasts 6-12 months or a short-term program lasting up to 6 weeks, the programs provide intensive treatment for alcohol dependence or drug addiction. In numerous instances, residents have access to psychiatrists and doctors who can treat co-occurring disorders such as eating disorders and mental health problems. This plan is more thorough than an outpatient plan, but less intense compared to residential programs. It combines medical services with outpatient counseling. These programs usually involve remaining at the facility up to 20 hours weekly but not overnight. Patients in this kind of program have access to doctors and nurses for any care problems they might have, for instance medically supervised withdrawal. Numerous patients enter a PHP after finishing a residential program. Similar to residential programs, outpatient programs differ in the intensity and length of the services that you obtain. This kind of program is ideal for somebody with a support system because it doesn’t need overnight stays or 24-hour supervision and care. Before you decide on the kind of Costa Mesa treatment facilities to enter, consider all the significant factors so that you select the one that suits your situation. Other significant considerations include the duration of misuse and the substance you’re misusing. Learn more on Inpatient vs. Outpatient here. Drug detox centers in Costa Mesa are distinctly designed to help supervise the withdrawal symptoms related to the stopping the use of alcohol or drugs. Numerous patients need medical care and monitoring during detox and in severe instances, the person may require emergency treatment throughout the detox process. Depending on the extent of the addiction, the patient can select between inpatient and outpatient detox centers. The OC Health Care Agency provides various public prevention, education, treatment, and outreach services aimed at decreasing the abuse and misuse of alcohol and drugs among OC residents. Current efforts to tackle the problem include increasing accessible treatment, the hosting of community meetings to raise awareness for parents, and encouragement of the appropriate disposal of prescription medication. On July 11, 2017, the OC Board of Supervisors accepted a grant for 6,218 Naloxone doses. Naloxone is an opiate antagonist that reverses the outcomes of an opiate overdose. The goal of the grant is to ensure local distribution of Naloxone and save lives from an overdose. Efforts are also taking place to link those using opioids to the available services throughout the county. Moreover, the OC Alcohol & Drug Advisory Board is working on a plan that will recognize community and individual needs in OC and adopt effective strategies to address those needs. The plan will emphasize on the incorporation of evidence-based practices associated with prevention and education, early intervention, recovery, and treatment. While Cali is known for a laid-back culture and stunning beaches, its residents struggle with alcohol and drug addiction. Fortunately, the Golden State has access to cutting-edge treatment and research modalities, resulting in first-rate programs. With a wide range of rehabs and treatment services, patients can attain success at CA treatment programs. Throughout the state, persons seeking premium levels of care will access the best treatment facilities worldwide. Although most facilities throughout CA provide treatment styles comparable to those available throughout the U.S., various rehab centers provide programs that are distinctly Californian. To begin with, CA-particularly the southern region has always been a place where the incorporation of conventional healing practices has taken place. For instance, meditation, yoga, and acupuncture are frequently present in CA drug rehabs. The state is also recognized for cutting-edge advances in health technology. 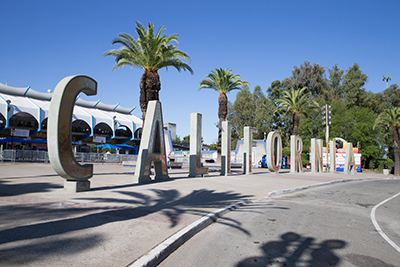 Numerous Californian centers have set an example for facilities nationwide for using the latest strategies to address the psychological elements of addiction. This entails experimentation with drugs or alcohol. Whether the initial use is out of peer pressure or necessity, the person learns how the substance makes him or her feel. During this stage, the person will probably notice that he or she isn’t bouncing back as fast after getting high. Tolerance develops after a period of continual use-this varies depending on the individual and the substance of abuse. This is one of the initial signs of addiction. Tolerance implies that the body and brain have adjusted to the drug and it will take a higher drug quantity to feel its effects. For instance, a person who’s developed tolerance to a prescribed painkiller might begin to notice that a similar dosage no longer manages the pain. During this stage, the abuser will become physically ill in the absence of drugs or alcohol. The person is also likely to develop severe withdrawal symptoms. During this stage, people find it almost impossible to stop misusing alcohol or drugs even when they no longer find it enjoyable.